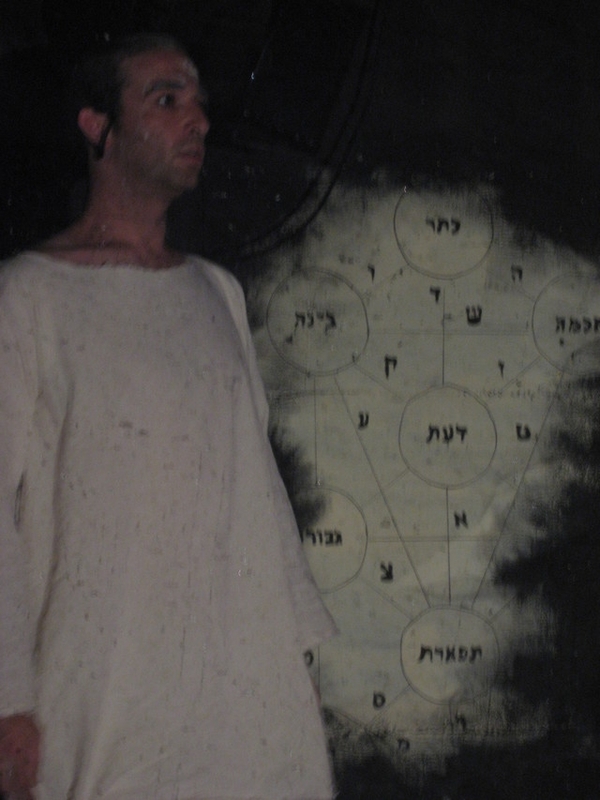 Being torn between two worlds Chanan breaks trough the border between the dead world and the living world and enters Lea as a “Dybbuk”. 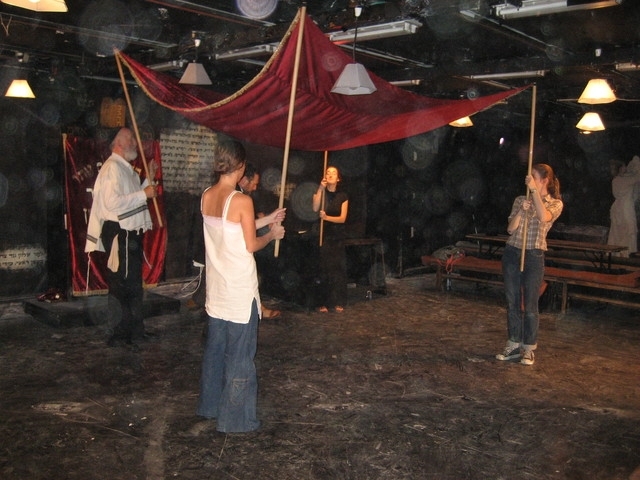 “The play takes place in a shelter which turns to a synagogue. 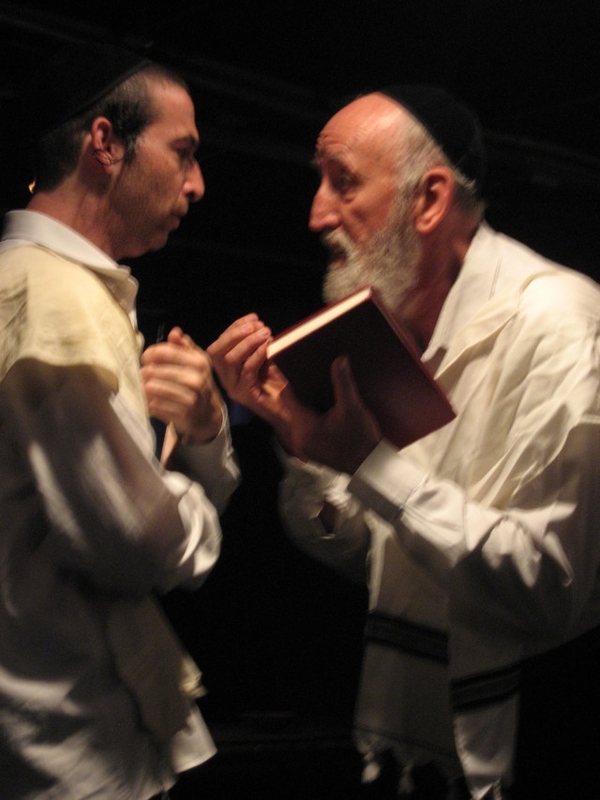 The audiences sit beside long tables on which there is traditional Jewish food such as wine for Kiddush and “Hallot” (kind of bread). 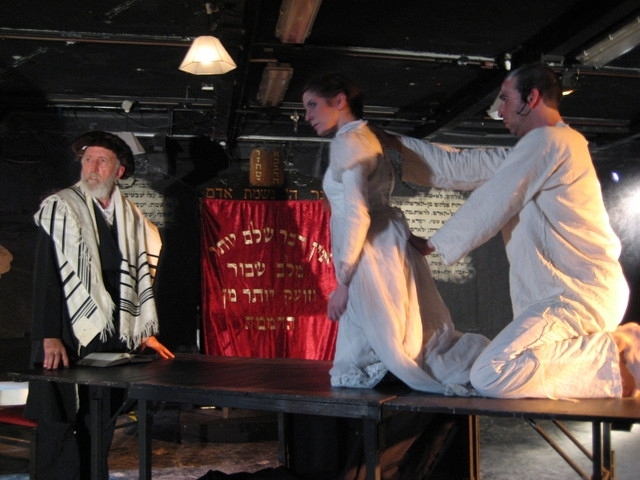 Dalia Fridland, Shmuel Wolf, Migel Orbach, Naama Armon, Shachar-Or Kampel. 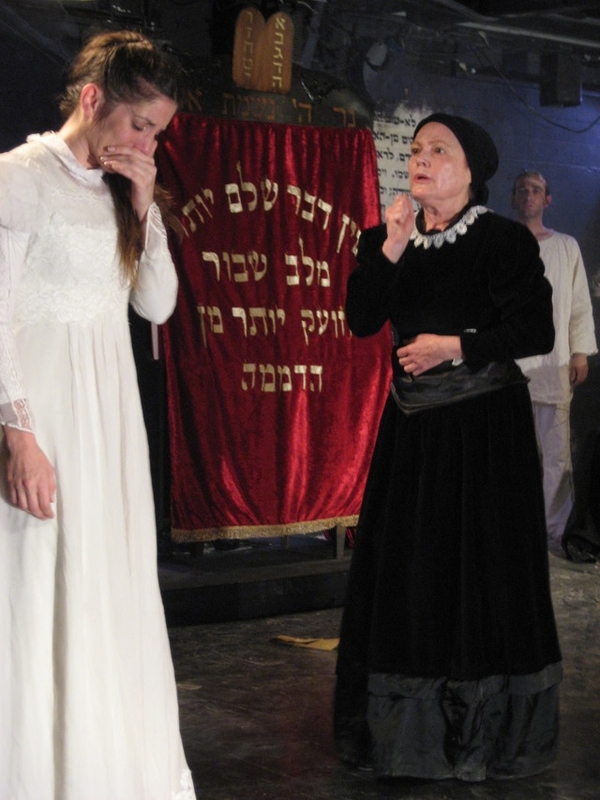 Sivan Bronstein, Yael Slor, Aviva Reiski, Shacharit Yerushalmi, Ina Aizenberg, Daniel Coen-Levi.